I have my own small music therapy practice ‘Music for Life’ which has become a growing practice since I founded it in 2012. It focuses on personal and quality therapy for all ages and abilities. I am passionate that music therapy is available to all individuals and groups. It specialises in working with those living with dementia, recently winning two regional grants for pilot projects in the community and contributing to NZ’s knowledge on Dementia in the music therapy practice. My article on this pilot project was recently published in the MthNZ Journal. My 5 year old son, Bryn, has autism. When Rani first met him he was completely non-verbal, (apart from making clicking sounds and moaning). He had very limited attention span, was easily distracted and did not make eye-contact or engage with people. I found it very difficult to bond with him and this saddened me deeply. After trying various other therapies and attending numerous courses, I considered trying Music Therapy. I hoped that it would help me connect with him on a basic level. I already knew he enjoyed music because it had a calming affect on him. I hoped it was something we could do together and share an enjoyable experience with each other. Rani was referred to me through a friend who had found music therapy successful with he own son. When I first met Rani I was struck by her extremely calm and understanding manner. She has sound knowledge of ASD (autistic spectrum disorder) and what having this disorder entails. Developmental delays (mostly verbal and social) and sensory integration processing difficulties. She understood about his dysregulated episodes (moods) and that it was extremely frustrating and tiring, not only for Bryn, but for myself, his older brother and my husband. We were desperate for help. We were desperate to help him anyway we could. Rani came to our house to conduct the therapy sessions. It’s where Bryn feels most secure. She came on a weekly basis. Initially, she just worked alongside him. Getting to know his likes and dislikes. She allowed him to lead the sessions. If it meant we needed to go outside for music, Rani would accommodate for that. There was a “no pressure” approach. Bryn started to trust her. From these initial sessions, Rani was able to develop an individual programme that was based on Bryn’s needs and interests. It involved repetition and a familiar routine. She introduced different types of instruments sounds and visuals to keep him interested. During these sessions, I noticed his engagement level increased from 10 mins to 30 mins. Bryn showed interest. He smiled, jumped, clapped, made eye-contact and was vocal. We were getting somewhere. It was encouraging. Each week there was more progress with engagement. More eye-contact, cuddles and his task persistence improved. He also appeared excited in anticipation of Rani’s arrival. Then…. One day…. Bryn made ALL the sounds of the animal visuals eg. Moo for Cow/ meow for cat . A couple of sessions later he named the animals themselves. He said “Go” and “Hello”. He could fill in missing words to familiar songs if you paused in the middle or end of a verse. He seemed empowered, happier, more regulated and calm. During these sessions I felt a real connection with Bryn. For that hour we ALL enjoyed ourselves. We ALL had fun. 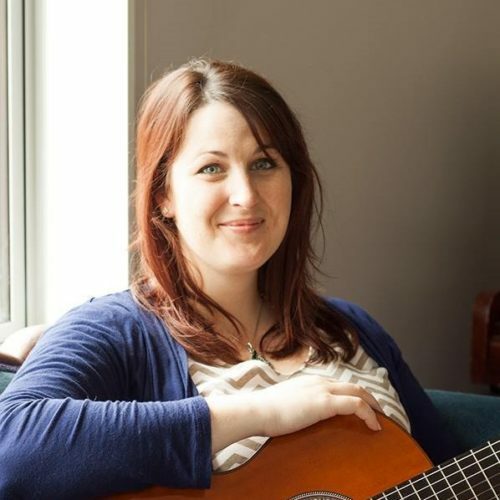 I would highly recommend Rani and her music therapy experience to anyone wanting to engage and connect with their child in a positive, relaxed and enjoyable way. She allowed me to “enjoy” him. I am forever grateful for that.